"I have arrived! The world renowned, dashing, gallant Jiraiya-sama, the gentleman thief!" I have arrived! The world renowned, dashing, gallant Jiraiya-sama, the gentleman thief! A pleasure to everybody, I’m Jiraiya, the one looking to reform this world! There’s no escape from Gama’s tongue! Take a look everybody, one of Jiraiya-sama’s secret techniques, Kuchiyose Seiajin! Alright! That’s all for today! Nooow~, let’s take all the goods! A hot-blooded ninja from the Land of Wa. Jiraiya is the pseudonym he assumes when he acts as a chivalrous thief. He is a jovial and openhearted nice guy (self-proclaimed). He distributes the money and the treasures he steals from evildoers among the poor. He, himself, is constantly short on money and lives in abect poverty at a temple. 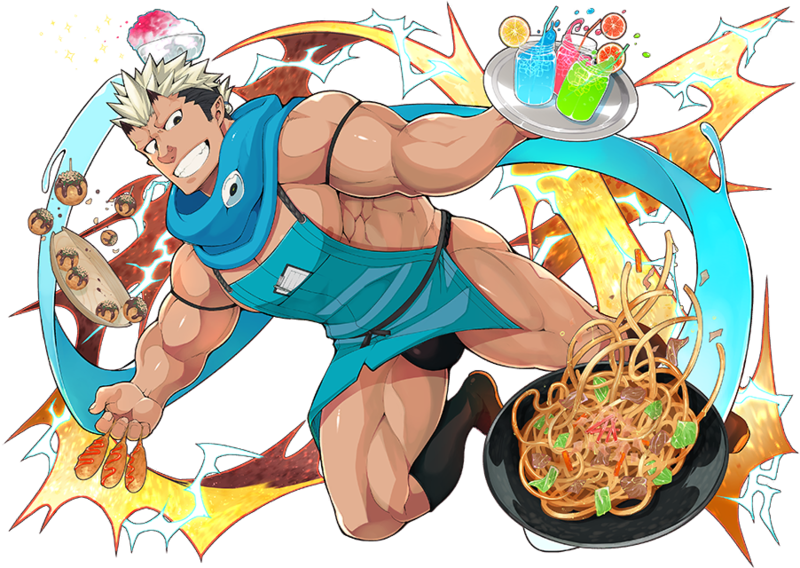 He will accept any job for food and strongly respects heroes who endeavor to bring happiness to others. A hot blooded, gutsy ninja who appeared from the Wanokuni gate, Jiraiya is an alias he uses in his activities as a noble thief, and not his true name. He's a (self-proclaimed) kind, honest and lively fellow who steals gold and other valuables from the wealthy to redistribute to the poor. He himself lives a humble life freeloading at a local temple in utter poverty, and will take on just about any job for rice. Jiraiya likes to spread happiness to those most in need of it, and feels favorable to like-minded people. The magical powers of the toad allow him to transcend humanity and the proof is in his horn that resembles that of a horned toad. Through the ninja garb he dons, woven from the great toad's whiskers, he can summon that giant toad of legend. He can also turn the scarf around his neck into a toad's tongue to capture this enemies. He suffers an innate fear of people who resemble snakes and have a strange sort of tenacity. He has power many times that of a normal human thanks to the power of Gama, his horns serving as proof of his bond with the great horned toad. The great Gama's whiskers are woven into his stealth gear, allowing Jiraiya the power to summon giant toads as needed. 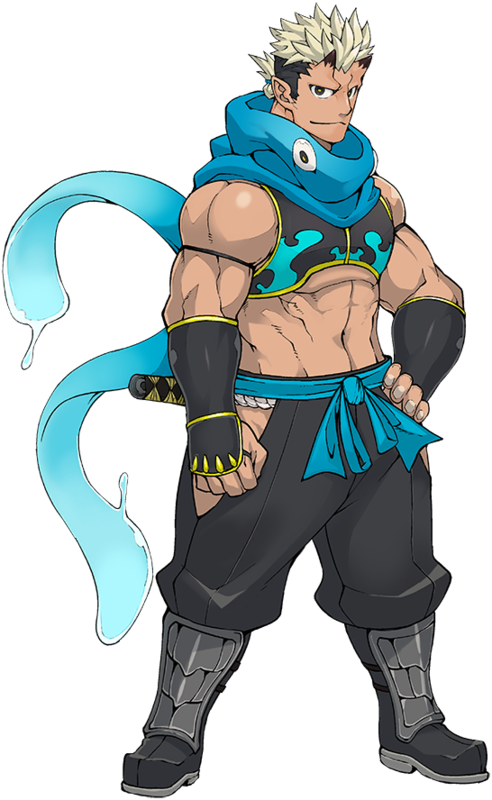 The scarf around his neck, too, is a manifestation of the toad and can grapple opponents like a tongue. Jiraiya instinctively despises snakes. Yes, welcome! This summer the gallant Jiraiya-sama finally makes his graaaand entraaaance~! I’ll aim to do the most perfect job! Welcome, Mr. Customer! Please, make yourself at hooome~! I’m gonna knock you out! Ah, now that the guests have finally come, let me take care of everyone’s orders with haste. Now, behold Jiraiya-sama's wondrous skiiiill~! Thanks for your visit! Have a good summer, Mr. Customer. Uwhah, I got too carried away… I’m gonna take a shower, excuse me! A certified chivalrous thief who steals back treasures taken by villains who trick people and steal their money. He prides himself on never using the money he steals for himself, so he's always running out. He's a ninja part timer, juggling several side jobs at once. This time, he is working as a waiter in a beach hut at the beach the protagonist and the others are visiting for a seaside school. 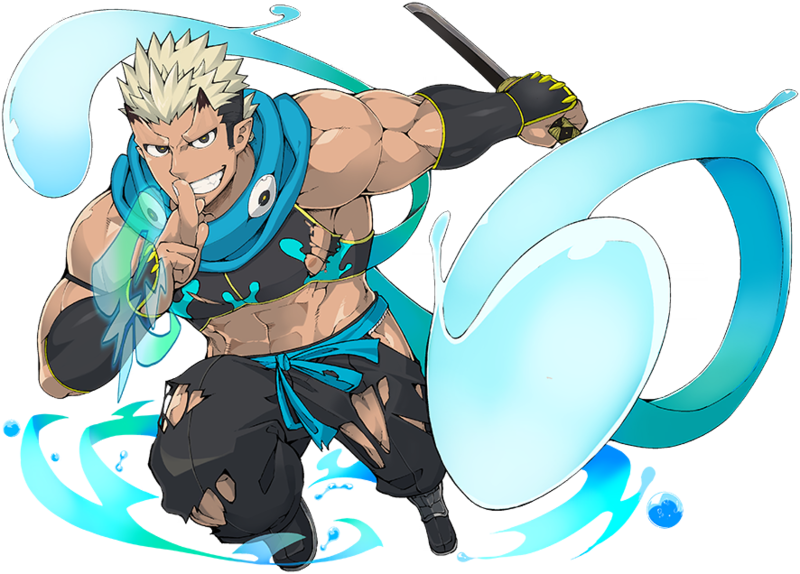 In that crowded beach hut, the way he handles customer orders at lightning speed brings to mind the raiju that is said to have accompanied him once. Jiraiya's name and toad motif draw inspiration from the myth of Jiraiya, a ninja whose signature technique was shapeshifting, particularly in the form of toads. This page was last edited on 4 March 2019, at 22:36.